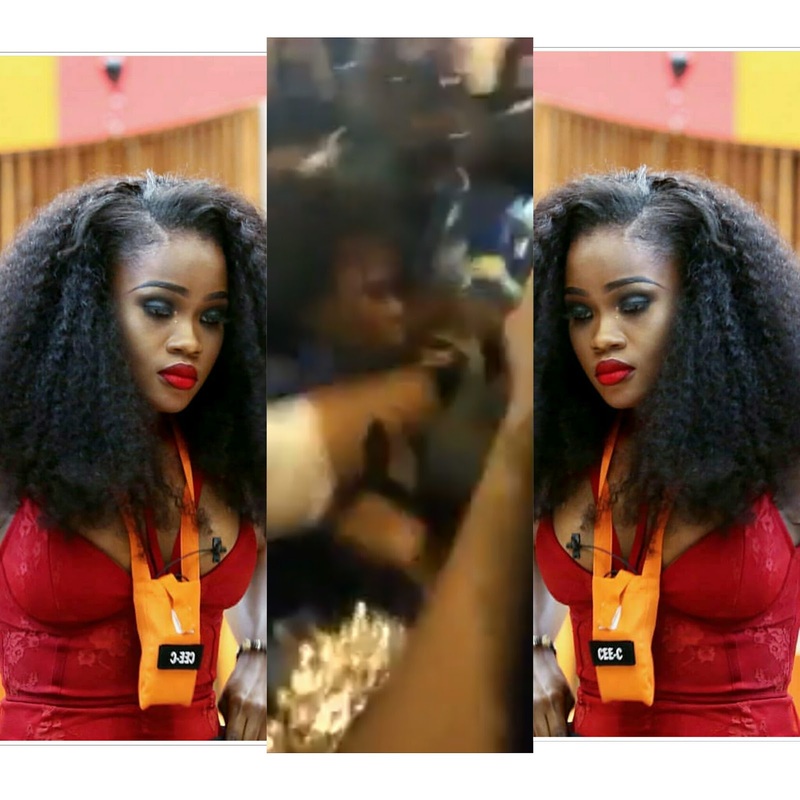 Just as we feared, the most controversial housemate of the just concluded BBnaija reality show, Cynthia Nwadiora aka Cee-C, was mobbed at the airport on her arrival. According to a short video posted online the BBNaija finalist was seen being mobbed, an angry woman was seen continuously trying to beat her but was constantly pulled back by some people. A voice could could be heard screaming "Leave her alone". What did she do to have warranted such a reaction from the public? It seems her last act in the house towards Tobi really provoked alot of people especially Tobi lovers. Its really sad. I hope this doesn't traumatize her.